Metals like gold and silver have been used in dentistry for countless years. Although such materials are strong and durable, they come with some significant drawbacks, not the least of which is that they can ruin a smile’s natural beauty. At Aegis Dental, we’re proud to use metal-free restorations in Carrollton. They provide reliable tooth repair without downgrading your appearance. A metal-free restoration is a crown, filling, inlay, or onlay that is made out of metal-free materials. 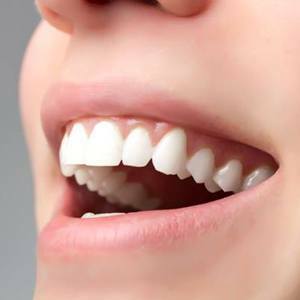 For fillings, the material is a flexible composite resin that is composed of a mixture biocompatible plastic and other components. 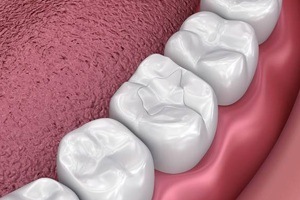 Crowns and bridges are made out of porcelain or E-max (a special type of ceramic that is known for its aesthetic qualities), while inlays and onlays may be made out of resin, porcelain, or E-max. All of the metal-free materials that we use to repair teeth can be shade-matched to complement the dentition around them. Therefore, once your restoration is in place, you’ll be able to smile with the utmost confidence; onlookers won’t even that you’ve had a bit of dental work done! What Advantages Do Metal-Free Restorations Offer? With proper care, your restoration may last for 5 – 10 years or longer. Porcelain and E-max are resistant to stains, so you won’t have to worry about your crown losing its luster as time goes by. Metals have high thermal conductivity rate, which can increase tooth sensitivity. Metal-free options do not have this problem. Many patients are concerned about the high level of mercury, a toxic metal, in traditional amalgam fillings. Composite resin is mercury-free and therefore poses almost zero health risk. Placing a composite resin filling is less invasive than placing a metal filling. What Else Should I Know About Metal-Free Restorations? Cost: Dental insurance does not usually cover cosmetic procedures. However, since metal-free fillings and crowns are both restorative and cosmetic, it’s very likely that your coverage will kick in to reduce the out of pocket costs for your treatment. Care: Limiting your consumption of dark foods and beverages can keep stains at bay (even though porcelain resists stains, it can become discolored over time). Using an alcohol-free mouth rinse can help to make sure that your resin fillings last as long as possible. Procedure: First, our team will make sure you’re comfortable; we may numb the area of the mouth that we’re working on. Then, Dr. Chandy will prepare the tooth. If you’re receiving a filling, she’ll insert the composite resin and harden it right away with a special curing light. For crowns and bridges, we’ll need to make some impressions of your smile so Dr. Chandy can design your restoration. A dental laboratory will create it, and you’ll return to our office for a second appointment to have it permanently placed. Do you want to repair your smile without sacrificing its beauty? Contact your cosmetic dentist in Carrollton to learn more about metal-free restorations today.